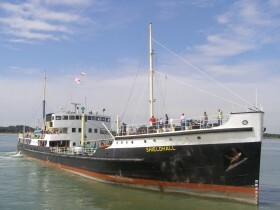 The society founded in 1959 cares for the "Waverley", the "Kingswear Castle" and the screw ship "Balmoral". Details of the sailings for Waverley etc see "Waverley", Kingswear Castle"
For all those who are interested in small steamers. Membership (December 1999) is over 1000 and about 400 boats, many of which are under 10 metres, but much larger craft are in membership too, including Edwardian craft. 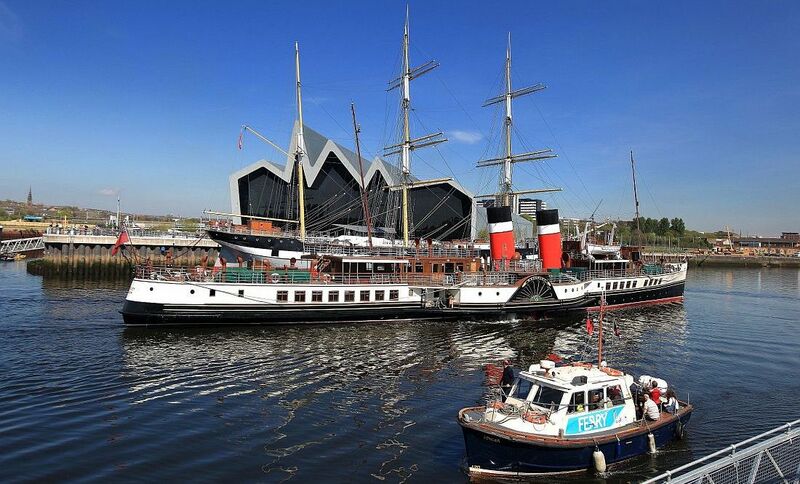 The last of the sea going paddle steamers, built in 1947! Carries 925 passengers. Is usually to be found in its home waters on the Clyde during the summer months but also visits Bristol, the Solent and the Thames during the year. 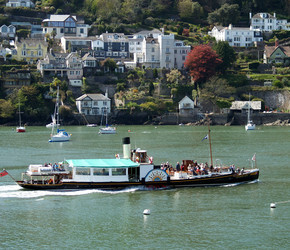 Photo courtesy Kingswear Castle Gallery. Renamed Windermere Jetty the museum is being rebuilt (January 2017) and will open later this year. The museum will house Lakeland steam launches and motor boats, racing boats including Hubert Scott Paine's 1931 White Lady II, and sailing boats.